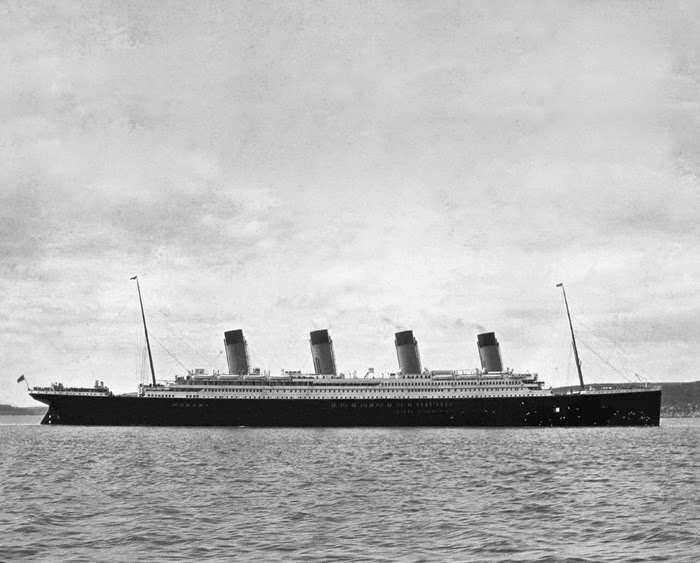 Titanic makes her last stop at Queenstown, Ireland. She drops anchor at Cove Harbor, the deep water port at Queenstown. 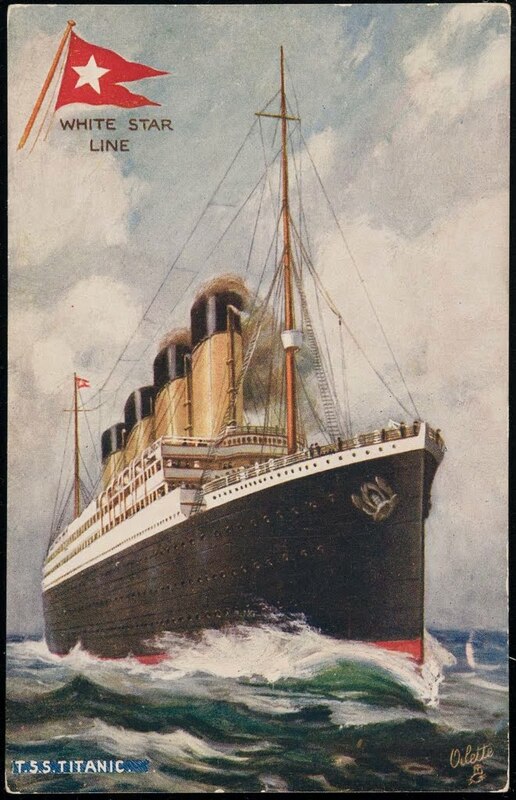 The tenders the Ireland and the America bring aboard 120 passengers, their luggage, and 15 hundred mail bags. Port officials and journalists board as well to take a look at the new ship. Some local vendors selected by Chief Officer Henry Wilde, are allowed to temporarily board the ship. These vendors sell lace and souvenirs to the First class passengers on the promenade deck during the stop. This arrangement provides wealthy customers for the vendors. As the vendors disembark the ship, Wilde receives a tip for allowing the vendors to board. A vendor aboard a ship around the same time as Titanic.